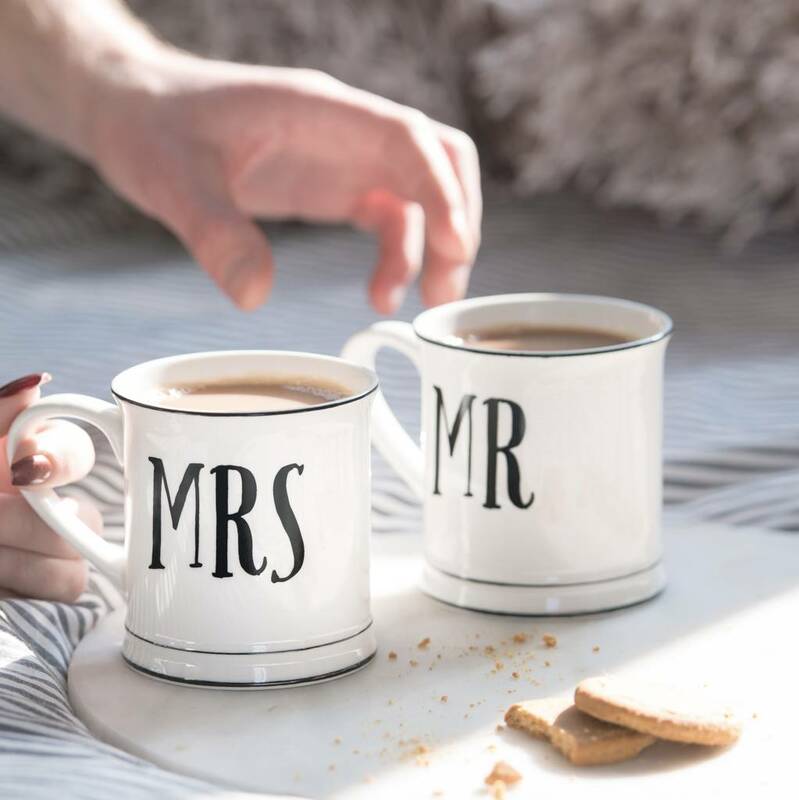 This great pair of MR and MRS mugs are perfect gifts for couples and newly weds. 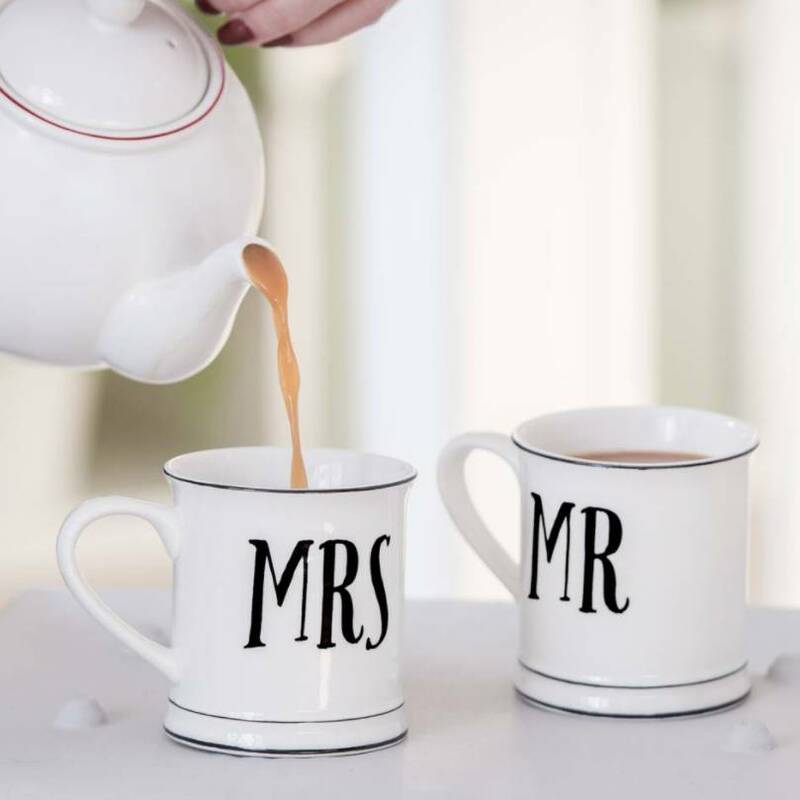 They are made out of ceramic with a quirky lettering font design on them. 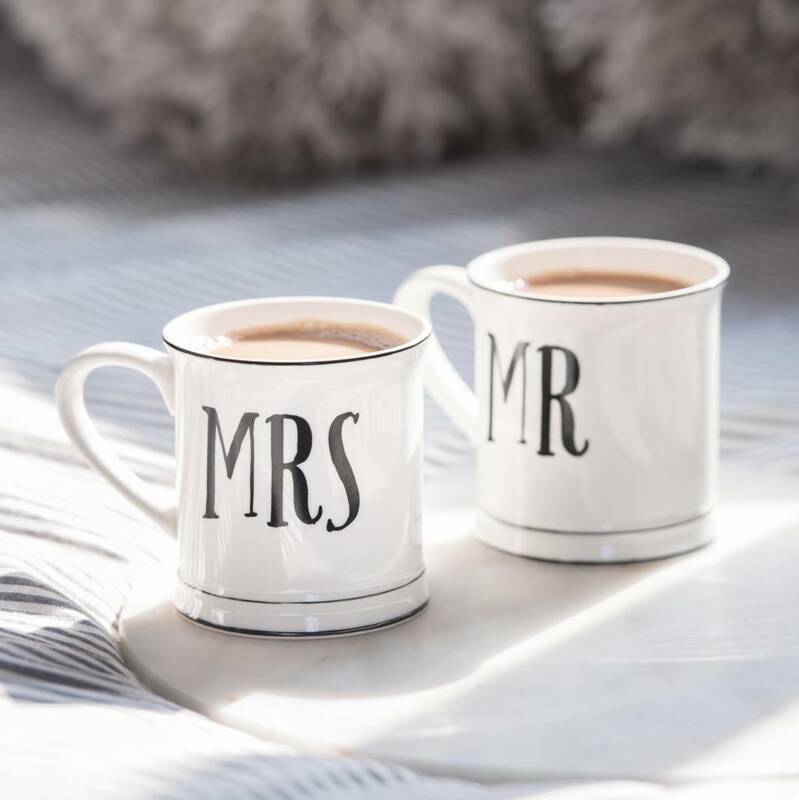 They come in pairs, and would look lovely on the wedding breakfast table. This fantastic gift can also be gift wrapped in your choice of paper and dispatched in 24 hours.